Buhari’s failure to develop the North socio-economically to such an extent that it becomes independent of the oil mineral revenues from the oils wells of the South, simply means the North must take advantage of the Atiku option as it apparently needs the rest of Nigeria more than the rest of Nigeria needs it. In what appears to be a major crack in the conservative Muslim North, which has been taken for granted as a safe political base for All Progressives Congress’ President Muhammadu Buhari, the Northern Elders Forum has joined forces with other socio-cultural groups, namely Afenifere, Ohanaeze, Pan-Niger Delta Forum (PANDEF) and the Middle Belt Forum in openly endorsing Peoples Democratic Party’s Atiku Abubakar ahead of the February 16 presidential polls. While it was an open secret that there was no love lost between Afenifere, Ohanaeze, PANDEF and the Middle Belt Forum on the one hand and President Buhari over his leadership style, many didn’t see his rejection by the Northern Elders Forum coming. Having unleashed a wave of unprecedented marginalisation against Nigerians of South-East origin to such a ridiculous extent that they are excluded from the entire top echelon of Nigeria’s security architecture and the president’s kitchen cabinet, Ohanaeze’s rejection of Buhari was only a reflection of the popular will of the demography it represents. For not just failing to curtail the murderous activities of killer herdsmen that are pillaging the predominantly Christian farmer communities of central Nigeria, leaving trails of tears, blood and sorrow, but actually justifying such carnage on the purported obliteration of ancient “grazing routes” or “anti-open grazing laws”, President Buhari’s rejection by the Middle Belt Forum is simply a form of political SOS. The 2015 presidential election, which was keenly contested by then incumbent President Goodluck Jonathan, a Christian from the oil producing Niger Delta and General Buhari (rtd. ), a Muslim from the North West, left the country divided along traditional ethno-geographic and religious fault lines. Having emerged victorious, President Buhari, in what many have described as a feat of exuberant triumphalism, treated the Niger Delta region, whose “son” had just lost to him like a conquered territory, with disdain and contempt. Apart from marginalising the Niger Delta region in key appointments in a open show of distrust and the lack of government presence in terms of infrastructural projects, while also attempting to reverse some of the gains that had accrued to the region under previous administrations, President Buhari’s rare physical presence in the region has equally been perceived as undisguised disdain. Even in the proportion of his visits to states, President Buhari has severely marginalised the South, particularly the Niger Delta region. Whereas, the president has visited northern Nigeria states like Kano, Sokoto, Kaduna and Bauchi more times for both formal and informal events, such as wedding ceremonies or condolences, he has paid relatively fewer visits to Southern states, and these have been mostly formal. For failing so far to visit his predecessor’s home state of Bayelsa, President Buhari lost a golden opportunity to demonstrate his first step towards national reconciliation after the fractious 2015 presidential election. That PANDEF has come out to endorse Atiku over Buhari going into the February presidential poll is a future foretold. The South-West geo-political zone, which gave President Buhari the second highest support in the 2015 presidential election, was left sulking as it was handed the shorter end of the stick despite producing the vice president. Yemi Osinbajo as vice president comes across as an outsider to President Buhari’s powerful kitchen cabinet, which is stuffed with individuals from the Muslim North. Until he was propped up as the only credible face of the administration to go into the heated waters of seeking votes for Buhari, Vice President Osinbajo was more visible in churches delivering homilies, while the powerful members of the kitchen cabinet, otherwise known as “the cabal”, ruled the country by proxy. It also didn’t escape the notice of many Nigerians of South-West origin, including his wife, that Asiwaju Bola Tinubu, who goes by the honorific “national leader”, was practically used and dumped after Buhari’s victory of 2015. He only became resurrected from political limbo when it became expedient to once again use whatever is left of Tinubu’s political potency in the South-West to shore up Buhari’s diminishing political fortunes, going into the February presidential polls. Many Nigerians of South-West origin are irritated by what appears to be Tinubu’s pitiable sight as a glorified power hostage who has lost all moral claims to political progressivism and his stubborn insistence, much like a fly following a dead body to the grave, on reinforcing Buhari’s failure beyond 2019. In other to help Tinubu from his fast lane to political self-immolation, among many other socio-economic negatives of the Buhari maladministration, Afenifere has to ensure that a stitch in time saves nine other potential ones. If the rejection of Buhari by four out of Nigeria’s six geo-political zones wasn’t unexpected, his rejection by a significant chip of the northern political establishment, The Northern Elders Forum, is a clear indication of a major upset in the offing. To the discernible, it is clear that Buhari’s traditional political base of the Muslim North has quacked and may cave in under the weight of his incompetent leadership. For a region that has made enough sacrifice, as well emotional, spiritual and material investments in Buhari’s political career, with the hope of returns in the form improved socio-economic conditions, this recently rejection is an anticipated fatal blow. The reality today is that the negative consequence of Buhari’s failure of leadership is more felt in the Northern part of Nigeria, so much such that the region has become a blight on the rest of Nigeria. That Nigeria is the poverty capital of the world today is attributable to the fact that northern Nigeria is the poorest region in the world. Nigeria is today ranked as the third most terrorised country in the world, no thanks to the intractable Boko Haram insurgency, the terrorism of herdsmen and cross border banditry in the eastern, central and western flanks of Northern Nigeria. Of the over 13 million out of school children in Nigeria, about 75 per cent are domiciled in northern Nigeria, thereby compounding its woes of educational backwardness. Fortunately for the North, the rest of Nigeria is giving it the advantage of eating its cake and having it by projecting the Atiku option; a man no less Northern and Muslim than Buhari, being considered as replacement for the failed current administration, to save the North and Nigeria from the path of hopelessness. Buhari’s sectionalism, which has brought scorn upon the North, leading to a heightened demand for restructuring from other sections of the country, has ironically not benefited the region, thereby leaving it in an uncertain state of double jeopardy. Despite the concentration of top security jobs in the region, it remains the most unsafe part of Africa, ahead of Somalia. If Buhari has taking the solidarity of the North for granted, then the region has had enough of his misrule. Fortunately for the North, the rest of Nigeria is giving it the advantage of eating its cake and having it by projecting the Atiku option; a man no less Northern and Muslim than Buhari, being considered as replacement for the failed current administration, to save the North and Nigeria from the path of hopelessness. The Northern Elders Forum is aware that the rest of Nigeria may not be able to bear Buhari’s divisive, exclusionist, sectional and inept leaders beyond 2019 if the North makes a peaceful democratic change of regime impossible by deploying its superior demography in his support in the February 16 presidential poll. An alternative path to democratic freedom from Buhari’s failed leadership will not be in the interest of Northern Nigeria. 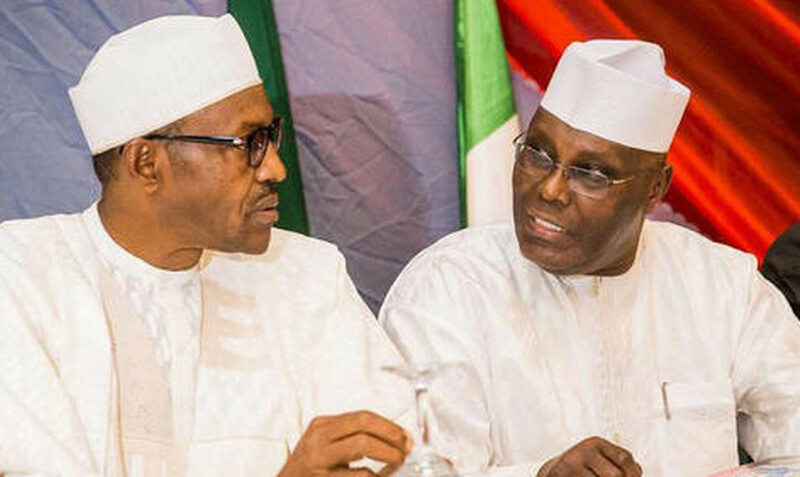 While some conservative elements in the North still regal in the empty symbolism of political dominance and want Buhari, the Northern Elders Forum has realised that the North needs Atiku, as Buhari’s second term ambition is clearly not worth a costly alternative to the North’s overall interest. Buhari’s failure to develop the North socio-economically to such an extent that it becomes independent of the oil mineral revenues from the oils wells of the South, simply means the North must take advantage of the Atiku option as it apparently needs the rest of Nigeria more than the rest of Nigeria needs it.